FP8 is a rectangular shaped portable force platform designed for jump testing. 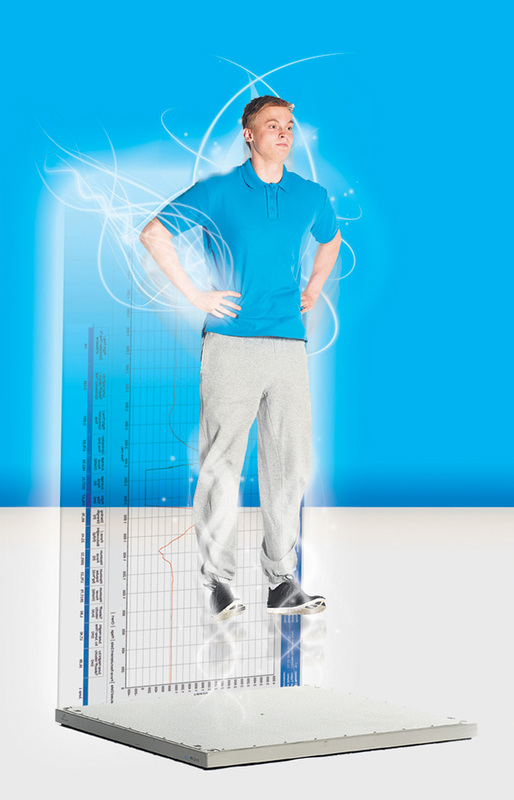 The product includes the HUR Force Platform Software Suite which features test protocols for the most common jump tests: squat, counter movement and drop jumps. Over 20 parameters are calculated and shown immediately after the jump without need for user calculations. Results are shown in both graphical and numerical format. Tested persons results can be compared between tests to follow improvement. The HUR FP8 is a force platform designed especially for jump testing - both for portable use and solid installations. The FP8 is an excellent tool for sports coaches as well as for sports research purposes. The product package includes the platform, a carrying bag for easy transport and the Force Platform Software Suite. 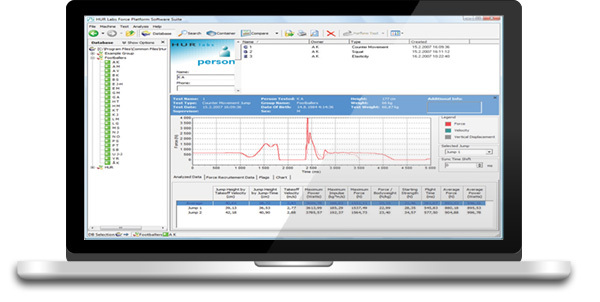 The software features a General Data Acquisition module, which enables the platform to be used for customised tests and force logging. E.g. a maximum isometric test is easy to perform using the GDA module.